Bob Nastanovich is an American musician who currently lives in Des Moines, Iowa. Though best known for playing keyboards, auxiliary drums, and shouting in the hugely significant and influential rock band Pavement, Nastanovich also co-founded another immensely important band called the Silver Jews. Highlighting the inimitable songwriting and singing of the American poet David Berman, Silver Jews called it a day in 2009 after a remarkable 20-year run. 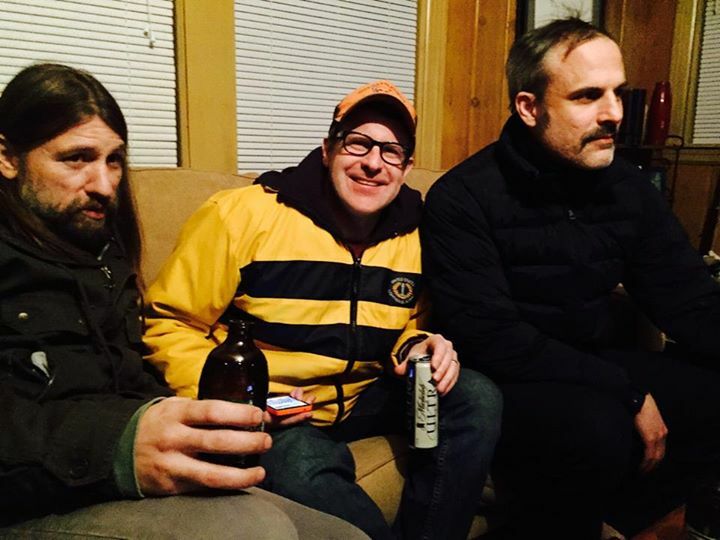 In the past few months, after cryptic social media posts and photographs, there seems to be something stirring in Silver Jews land and the band seems to be active again in some capacity. Here, Bob and I discuss repping Des Moines, dogs and kids, Pavement’s juvenile sound, Stephen Malkmus’ attitude towards reunion tours, how the Pavement reunion tour ended, a failed pitch to get the band going again, the history of Bob, Stephen, and David and the NYC scene of the early 1990s, an infamous Nirvana show that Bob and David disrupted by heckling the band and angering Krist Novoselic, Kim and Thurston’s home phone number, when Kurt Cobain asked Pavement to play the Reading Festival, recording horse racing calls utilizing the same technology as the Silver Jews on their early releases, Drag City might be magic, David’s new obsession with making unique sculptures, the times David has kicked members of Pavement out of the Silver Jews, Harmony Korine and David are close friends now, David is writing new songs and it sounds like he’s going to record them, Cassie Berman and therapy for horses, wi-fi addiction, funny people on the internet, Tanglewood Numbers, when David feels like things are getting too Pavement-y, not talking to David for over a year, why Bob is releasing little tidbits about this new Silver Jews activity, music for sculptures and people, pushing Brian Kotzur, Searching for Berman, the night owl, @silverjews, @dronecoma, @bnastanowich, the song “New Orleans,” and that was all.